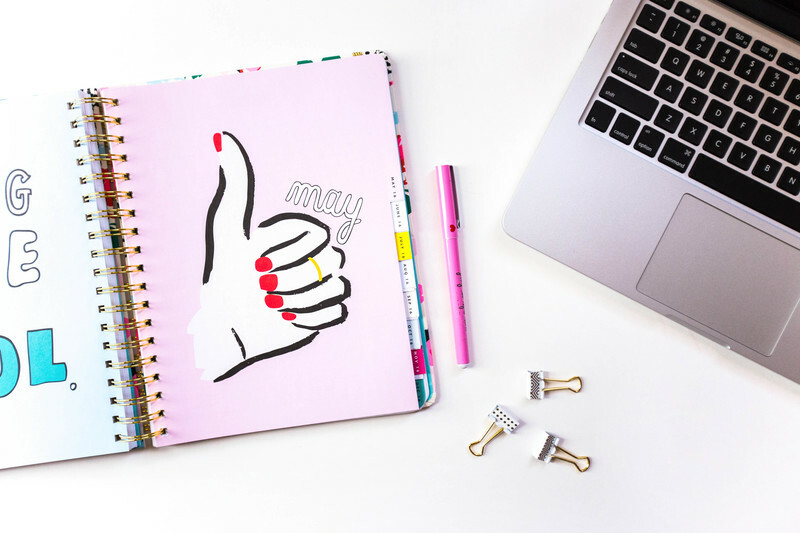 What does it take to create and implement a successful marketing plan? Because no matter what role you have in your organization (an entrepreneur, a manager, or a subject matter expert), you need to be able to identify trends, to figure out how to create and sustain value for your customers and partners (whether external or internal), and to develop effective ways to get that message across. That’s the perspective we’ve thought about as we assembled the content for The Marketing Plan Blueprint course: to walk you through a process to follow that will enable you to think deeply and creatively about setting up your brand for growth and success. 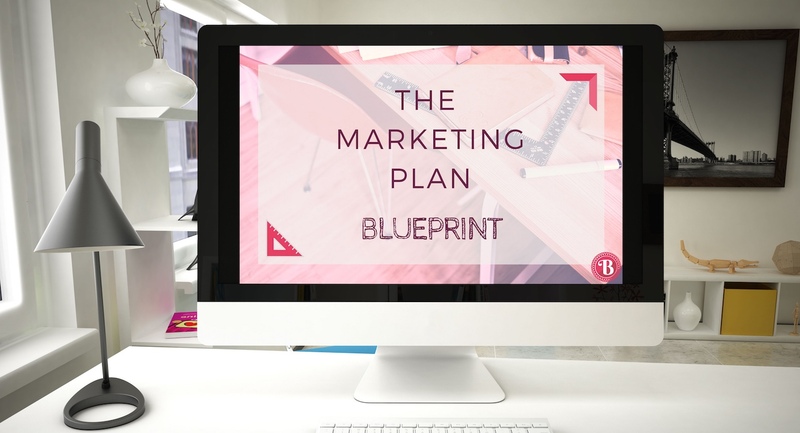 What comes with The Marketing Plan Blueprint course? As part of the course materials, we’re providing a set of tools (formulas included!) that you can use to develop your strategy and implementation plan. This includes an analytical tool, so you can identify areas where your marketing and sales results can be improved. It also includes an action planner, so you can connect all of your activities in an integrated and coordinated way. Lastly, we included a scorecard tool so you can measure and manage your progress. You will be given a robust set of recommendations to further your knowledge base. This will include links to books and free or low cost tools that we use ourselves. Last, but certainly not least, you’ll have the opportunity to ask questions all along the way. We’ll have open virtual office hours so you can connect with us and a private Facebook group just for the students of this course. A complete marketing plan to move your business forward. A flexible mindset and a “clouds and dirt” philosophy towards scaling your business up. The skills to replicate this plan for all of your future businesses. A strong sense of purpose and clear vision about your mission and action planning systems. We have packaged this material for you in 5 action-packed modules. But, please know that we’re NOT looking for you to rush through the course in any way. We’ll go through the material deliberately and you’ll have lifetime access to the course as well. Did we mention that Module 1 is completely free? We put together this course based on our own personal experience creating and executing successful marketing plans for some of the most recognized brands in the world: IBM, American Express, and Kraft General Foods. We’ve applied what we’ll go through with you to our own successful small business ventures. This course, in various formats, has been delivered to small business audiences in both the U.S. and Canada. Based on that feedback, we have taken the best of the best content for this course. At the end of the day, we expect that you’ll gain not only a successful marketing plan but also numerous practical skills to apply to your business today and into the future. 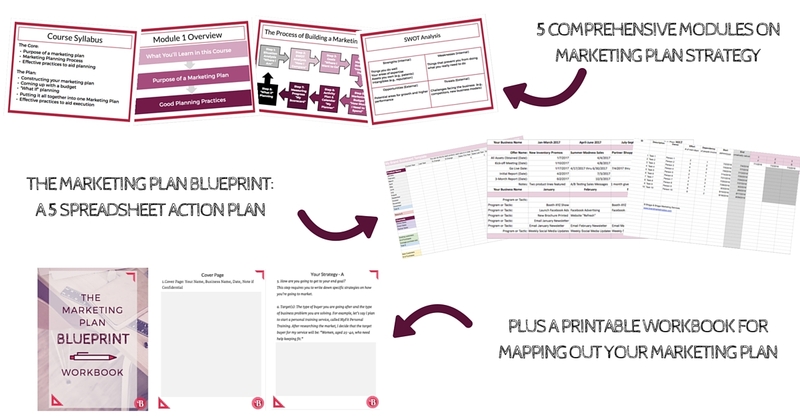 Are you ready to take The Marketing Plan Blueprint course?